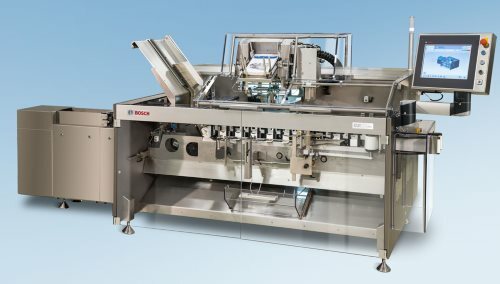 Bosch manufactures cartoning machines for pharmaceutical and diagnostic products, for medical devices, for techno chemical products, for cosmetics and for the food industry. Machines from Bosch Kliklok are manufactured in Bristol (UK) and are widely used in the food industry and other packaging industries. They are working either continuous or as intermittent motion machines with an output of 10-300 cartons/min. For these machines Bosch also deliver automatic feeding and grouping systems. 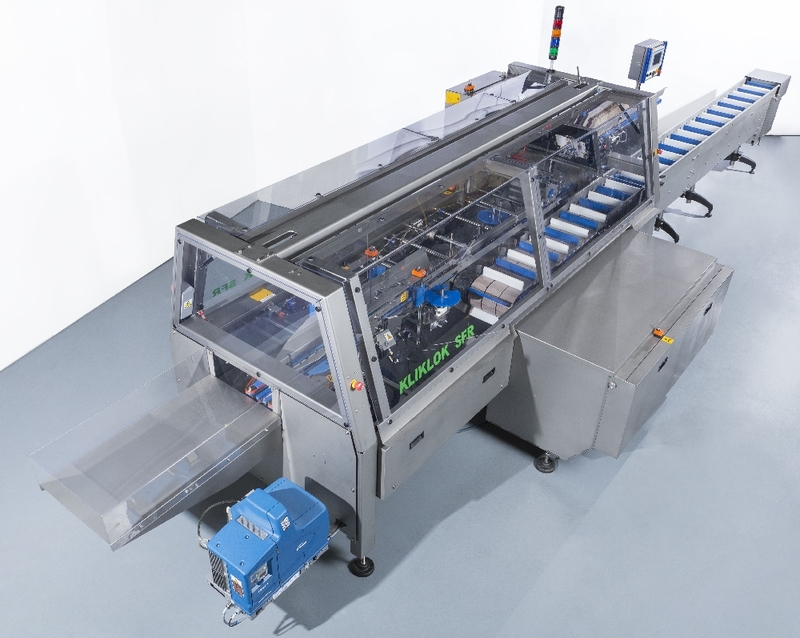 Typical products for Klikloks machines are biscuits, confectionery products, bags, cakes, pizzas, blister packages, technical products, and cosmetics. Bosch cartoning machines for the pharmaceutical industry are manufactured in Waiblingen (DE). They are working either continuous or as intermittent motion machines with an output of 10-30 packages/min. Typical pharmaceutic products packed with these machines are pharmaceutical containers, bottles, blisters, inhalers, ampoules and sachet bags.